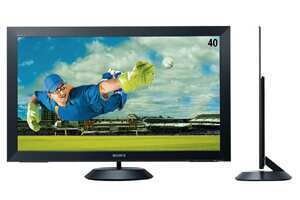 When using DisplayMate, there was a lag (delay) while dimming or brightening the screen. Although not noticeable when gaming or watching movies, displaying a static screen will cause the display to take a couple of seconds to adjust its backlight. To keep it slim, Sony couldn’t put the backlight LEDs directly behind the LCD screen, and this prevents local dimming of LEDs around precise areas, which, in turn, hurts the display’s contrast ratio. The colours don’t look as bright as you get in some of the best panels, thus making everything look softer. This is good for static images, which show no noise whatsoever. Even motion pictures lack any sort of banding or noise. However, everything tends to look a little sterile and we miss the crispness of better displays. The backlight delay issue is annoying after a bit. All said and done, we’d rather live with a fatter display that has a full LED array behind the LCD panel. At Rs2 lakh, you’d be better off skipping this and waiting for better panels—more are on the way. Also, if you click hard (when wrapped up in a game) the mouse seems off-balance and tilts forward slightly. The glossy plastic material used is not the best either, and if you have sweaty palms, this mouse is going to be harder to grip. So is there anything good at all? 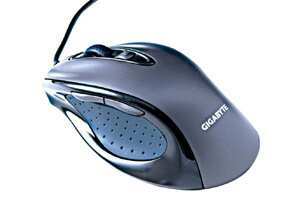 For starters, the price (Rs945) means that budget gamers will like this mouse. Then there’s the look, which definitely says g4|/|3r (“gamer", in their language). For beginners and budget gamers, this is a decent buy. For seasoned gamers, we have two words, “Stay away!"